← Putin’s coming war in Libya! On Purim night, in a tweet exchange between Zionist entity prime minister Benjamin Netanyahu and Siamak Moreh Sedgh, 48, member Iranian Majlis (Parliament) representing 30,000-strong Jewish community – Sedgh called Netanyahu an Insane Vampire for saying that Iran seeks the annihilation of the Jews, just as ancient Persia did in the Purim story. “Netanyahu is an insane vampire drowned in crimes from head to toe, and the recent remarks made by the racist Israeli prime minister is not surprising to me,” posted Sedgh. Sedqh also said that in contradiction to Netanyahu’s statements against the Islamic Republic, antisemitism and racism have never been witnessed in the Iranian culture. On Saturday night, the start of the Purim holiday, Netanyahu visited an Israeli synagogue, where he told children celebrating Purim that Iran seeks to kill the Jews just as the Persians did. 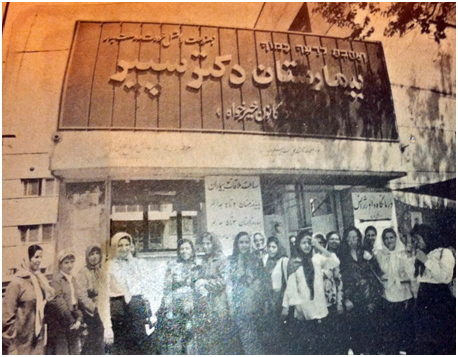 Dr. Sedgh is also director of Iranian Jewish Committee and CEO of Doctor Sapir Hospital in Tehran. In 2014, then Iranian president Dr. Ahmadinejad donated US$400,000 to the Jewish hospital. Canadian professor Yakov M. Rabkin (Université de Montréal) visited Iran last month. He debunks Zionist lies about the safety of Jewish community in Iran. “I was invited to give academic lectures on the way Jewish law (Halakha) treats Islam and Muslims. Compared with other many other Jewish communities in today’s world, Iranian Jews seem safe. There are no guards at the entrances to synagogues and Jewish institutions, just as it used to be when I first came to know Jewish venues in Montreal, Baltimore and Paris. My memories, admittedly vague, of the synagogue in Leningrad during my youth do not include any image of guards, let alone armed soldiers who guard synagogues in major European cities,” he said. Fool me once shame on you, fool me twice shame on me, fool me three times….. is what? If you study Muslim history from some objective source – you will find that Muslims usually preferred Jews over Roman Catholics. Why? I don’t know. Maybe, they’re not aware of hateful Talmud. Islam is a major religion in Israel. The vast majority of the Israeli Arabs – 81% – are Muslims. Arabs in Israel have equal voting rights. It is one of the few places in the Middle East where Arab women may vote. Arabs currently hold ten seats in the Knesset which is the Israeli parliament. So, is your title a Freudien slip? My post heading is based on Iran’s Jewish leader. Islam has always been majority’s religion since the 8th century followed by Christianity (15%) and Judaism (2%). However, since 1970s, Judaism has become majority religion (75%) thanks to alien Zionist Jews followed by Islam (23%) and Christianity (2%). A law passed by Knesset passed on March 15, no Arab MK would be allowed to sit in Knesset unless he agrees with the Zionist myth of the Zionist entity being “Jewish and democratic” entity. That’ topic of my next post. So please return and enlighten yourself with the facts.